There are many benefits to having a Seamless Gutter System installed by Minnesota Leafless Gutters. Our products are made of the finest materials to protect your home and add to the aesthetics. We are Licensed Gutter Installation Contractors with over 17 years of serving happy, satisfied customers. Our rain gutters and downspouts do much more to add to the home than just keep rainwater from falling on your head. They actually protect your investment in your Cottage Grove, MN home. We offer a Lifetime Transferable Warranty for labor and materials. A home is at risk of structural damage when water is allowed to wash away the soil and penetrate the foundation walls. 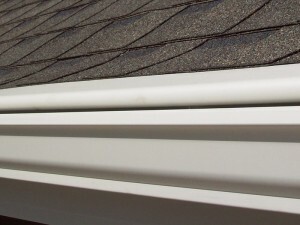 Other areas of your property will also be spared when you have a Quality Gutter System installed. Your home is possibly the biggest investment that you will ever make. It needs to be protected and Quality Seamless Gutters are a great way to provide that protection. Gutters Protect the Foundation by directing water away and reducing the impact rainwater and melting snow can have on the surrounding soil and structure. Gutters Protect the Fascia by moving water away quickly to prevent moisture related problems. Gutters Protect Vegetation and plantings around the foundation of the house from an onslaught of water during heavy rains. Gutters keep Soil from Eroding and washing away from the foundation. Gutters Protect your Family and Guests from getting soaked when stepping out of the door. Gutters Protect Windows, Doors and Trim from rotting by providing drainage for water coming off of the roof. Gutters Protect Siding from becoming stained when dirt and mud are splashed up. Gutters Protect the Environment when water from downspouts are collected and used to water plants, trees and lawns. Minnesota Leafless Gutters is a company with experience and integrity. We are Licensed Gutter Installation Contractors who care about our clients and the investment they have in their homes. Cottage Grove, MN residents have trusted Minnesota Leafless Gutters to provide Quality Seamless Gutter Systems for over 17 years. We make it easy with our Lifetime Transferable Warranty on labor and materials. You know your home is in good hands.